The Hip-O Select line of recordings is an imprint of Universal Recordings, which sells directly to the customer through the Hip-O website. The imprint is mostly focused on reissues and deals with higher end issues of these than is typical with a focus on presentation and packaging. The label packaged both of Robbie Robertson’s early solo albums together into one release, and included additional tracks on both CDs. U2 had featured on Robertson’s “Robbie Robertson” album in 1987 on two tracks, “Testimony” and “Sweet Fire of Love”. There had also been a remix of “Testimony” released on the single “Fallen Angel”. All three tracks are represented here on this release, however the remix of “Testimony” is a new edit, the original was 6:27 in length, yet this new edit is longer at 6:34 in length. This release on Hip-O was advertised as being limited to 5000 copies, but copies are unnumbered. 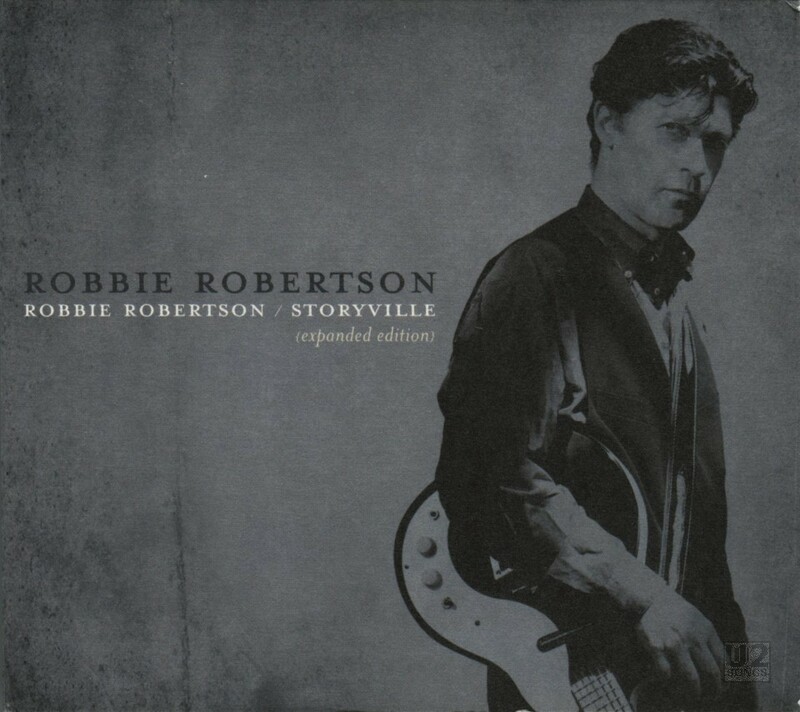 Both “Sweet Fire of Love” and “Testimony” were originally released on “Robbie Robertson”, Robertson’s first solo album, released in 1987. Neither song would be released as a single, but “Testimony” was remixed and released on select versions of the single “Fallen Angel” (French 3”-CD, and UK 12”-Vinyl). The remixer on the original version was never credited, but this “Expanded Edition” reveals that the remix was by Nile Rogers. Drums: Larry Mullen Jr. Bass: Adam Clayton. Guitar: The Edge. Background Vocal, Guitar: Bono. Bass, Percussion: Daniel Lanois. Guitar: Bill Dillon. Background Vocal: Ivan Neville. The Gil Evans Horns Sections arranged by Gil Evans, assisted by Peter Levin. Vocal, keyboard, guitar: Robbie Robertson. Additional production and remix by Nile Rogers.